The media event for the 25th Annual AGTA Spectrum Awards took place yesterday in New York City and all 500 + pieces entered were celebrated by the impressive roster of media that attended the exclusive viewing. It’s not a bad gig hanging out in a sun-drenched, West Village loft all day, and we here at Lup HQ had to remind ourselves that we were actually working and not just hanging out in a gem filled room trying on fabulous jewelry and sharing our excitement with influential media! LupRocks.com’s own Erica Courtney took home four different awards—two in Bridal, one in Classical and one in Evening Wear! We were also super impressed with the designer Evelyin Clothier, who submitted some of our favorite pieces, and we were in love with the resounding media favorite--an exquisitely crafted enamel cuff with amethyst and citrines by Rina Limor. Photographs are being shot as we speak, so we’ll update with pics of some of our favorites in future posts. This past Wednesday night, I attended the launch party of an exciting new magazine called Boho. It was held at a very quaint Soho boutique called Kaight, and the refreshments consisted of a new kind of vodka that is healthy for you. Well, not exactly, but it is enriched with antioxidents. It was a great even, and we here at Lup HQ are very excited about this all green ecofirendly magaizne. Plus, even in the first issue we saw two LupRocks desigenrs: AJaron and Shag Bags. We can't wait to see what else they have in store for next issue! 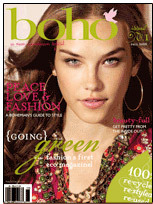 You can purchase BoHo magazine at any specialty newstand or take a look online. These are three new links we stumbled upon recently, that we think are worth checking out. If you are addicted to gossip magazines or insist on flipping through the pages of every fashion mag – no judgment, we do it too - but are sick and tired of wasting that four dollars every week at your local newsstand, then we have a solution for you. (Although I am sure you have other plans for that four dollars – hmm…like a cup of a certain over priced big chain brand of coffee?) It’s called the internet. Magazine addict meet Mr./Mrs. blogger. We think you two will be very happy together. 1. All blogs offer information available for sharing. If a million people each have a blog, then there exists a million more pieces of information available to you that weren’t there before. By searching for blogs (google has a search option for this) you can find a blog by a commodity financial-ist discussing gold prices, another jewelry designer in your neighborhood who is sharing her do’s and don’ts of getting her business started, or anything else you would like to know more about. Disclaimer: most of the information is of no value to you. You will not want to read a blog about the Jones’s family vacation in the middle of nowhere. Everyone should go out and find one blog to read today besides this one. 2. Sort and save. Three small words that will make one big change in your life. Stop wasting your time, which you have less and less of these days, by flipping through 20, 40, 100 pages of advertisements and articles you won’t read, when you can more simply just click on the information you do want to read. 3. You are saving paper. 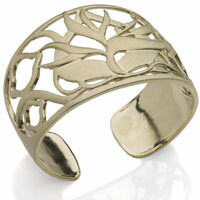 We know the jewelry industry is in-tune with the flower child / tree hugger that lives within all of us. How do we know you care? JCK put out a “Green” issue for April, and it is packed with articles about environmentalism and the industry. And that’s right – JCK has a blog too. 5. You can find the same quality of information in blogs that is in printed media (if you look), except that blogs are not censored (some are), and so they are often much more entertaining to read. They have not been edited to please advertisers. The competition for readers causes the bloggers to be witty and relevant. What more could you ask for? 6. Blogs about sharing. So, not that you have taken, give back. I know you have thoughts and information you want to share. A successful sale or placement story, a crisis you solved, a sale your company is having, etc., are all good things for you to put in YOUR blog. Choose one printed magazine, (the one you don’t really read), start reading it online, (almost all magazines are online now), and while your out there in cyber world, find one blog to read as well. With the show off to a huge hit, it seems that Gossip Girl is generating all the right kind of buzz. InStyle Magazine Online now features the best looks from each episode and tells us – the fashion hungry - where to get the fabulous clothing and accessories seen on the leading stars. InStyle loved the 6 inch long necklace from LupRocks member AngelaReneDesigns, and the multi strands bracelet from Luprocks member Kimberly Baker, all seen on Serena in episode two. Also featured in this episode was jewelry from LupRocks.com member Judith Bright. Congratulations ladies! Continue to check out InStyle every Thursday to see what looks they loved, who from LupRocks made it on to the list, and where to buy all your favorite designs. 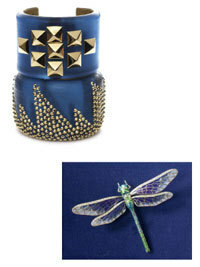 See all of Kimberly Baker's jewelry on LupRocks.com. See all of Judith Bright's jewelry on LupRocks.com. Boy Oh Boy! BlumLux Men's jewelry is HOT! This year, fashionista femmes won’t be the only ones catching the light with their high fashion jewelry. The Fall 2007 issue of JCK Luxury points the modern and stylish male in the right direction--the destination being Luprocks member Nick Blum’s designer line BlumLux. 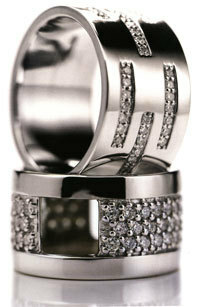 The glamorous yet masculine collection is perfect for any man trying to add a little extra “bling” into his life. BlumLux is featured in the cover article “Oh, Man” among a few choice men’s jewelry designers as a rising star to keep an eye on. To see more BlumLux Jewelry on LupRocks, Click Here. 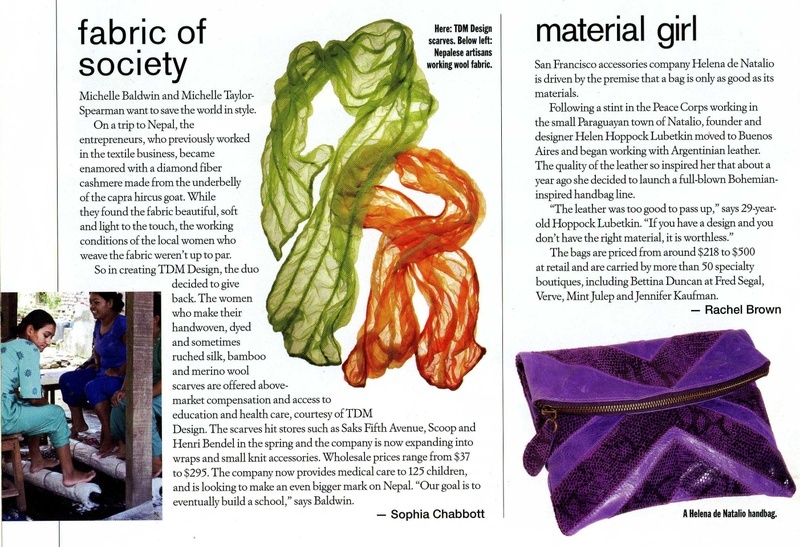 We're excited to announce that LupRocks was covered in Wednesday's edition of WWD. 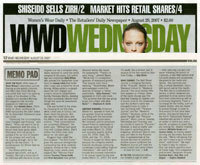 We're featured in the "Memo Pad" section under "In The Bag." 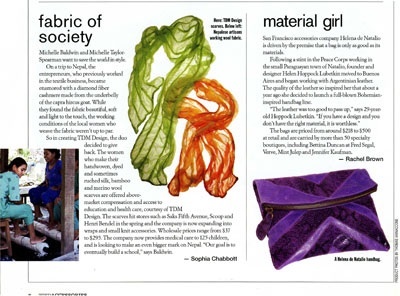 We are truly thrilled that one of the world's most trusted news sources for fashion thought we were worth checking out.